Legalzoom vs Rocket Lawyer - Which is Best? Home » Starting » Formation » Legalzoom vs Rocket Lawyer – Which is Best? 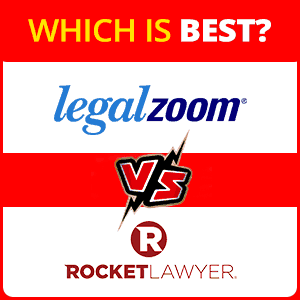 Legalzoom vs Rocket Lawyer – Which is Best? If you are considering forming an LLC, getting a will written or other online legal services you will want to compare the top firms – LegalZoom vs Rocket Lawyer. Looking for the right legal service online for your business needs, and considering Legalzoom or Rocket Lawyer? Here’s a comparison review based on my professional research and testing. As an entrepreneur and small business owner, you want to cut costs and save on your legal service needs. 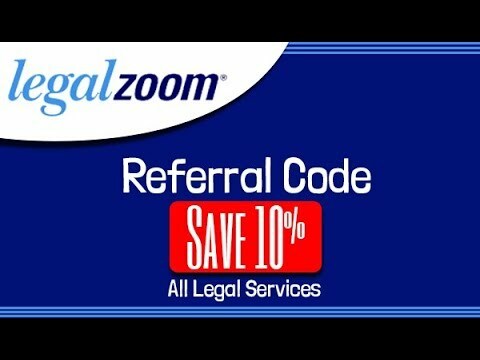 The online sites, such as Legalzoom.com and Rocketlawyer.com, will reduce your costs by over 75% as compared to law firms for services such as business formations; LLC Limited Liability Company, S Corp Incorporation, DBA Doing Business As Sole Proprietorship, Nonprofits and Wills, Living Trusts and Power of Attorney. LegalZoom is recommended by top business sites as compared to Rocket Lawyer. It is highly recommended for small businesses is because they are generally less expensive than Rocket Lawyer and have better quality legal forms and great customer service. Also, Legal zoom gives you the important advantage of access to professional attorneys to ask questions before using legal forms or legal services. In my mind, this is the tipping point. For all legal transactions, I have lots of questions and prefer to call and ask those questions before I choose which form to use or which service to hire. Most entrepreneurs want to know about what type of business formation to set up, LLC or Incorporation? What business licenses do I need to operate legally? What type of will do I need to protect my business assets? The legal team at Legalzoom.com can answer all these questions and more. That is the difference and the deciding factor for my recommendation of Legalzoom over Rocket Lawyer. Comparision of online legal services for small business, legal forms, and business formation. Top review sites such as Consumer Reports rates Legalzoom more highly than Rocket Lawyer because you can get good quality legal forms, wills and business formations for a fraction of what you would pay an attorney.